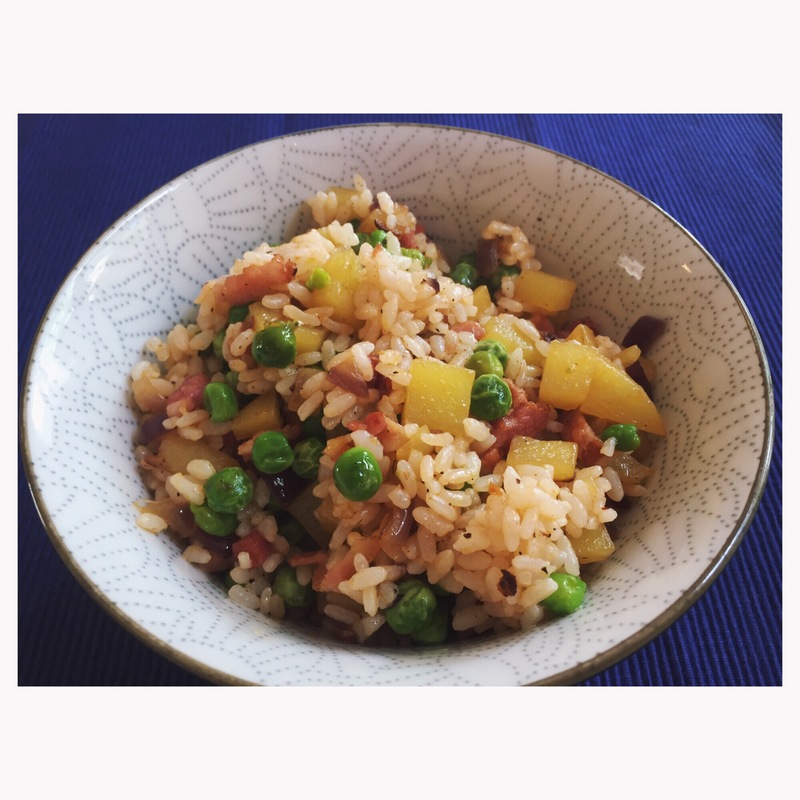 Fried rice to me is the ultimate comfort food, it’s easy to make but still very tasty. Today I am going to share the universal fried rice recipe which use very simple ingredients that can be found in most of your kitchen. Salt, Black pepper and light soy sauce. 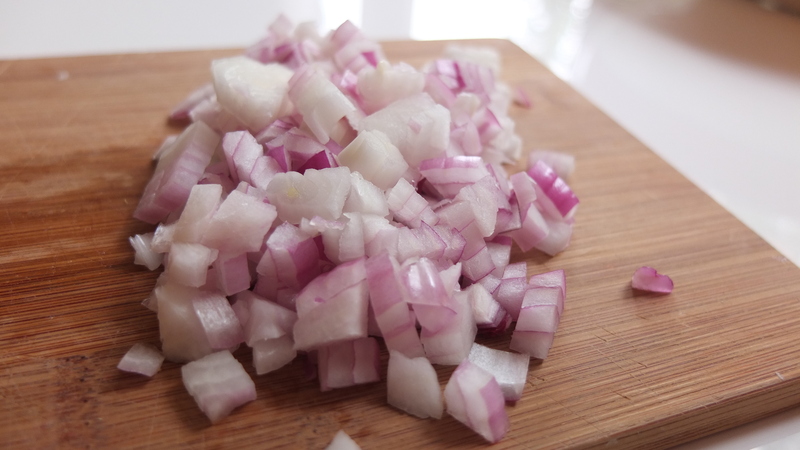 First of all, peel all the potatoes, dice potatoes and red onion. Normally I just buy the biological bacon from the supermarket, it’s easy to use and it’s not too fatty. 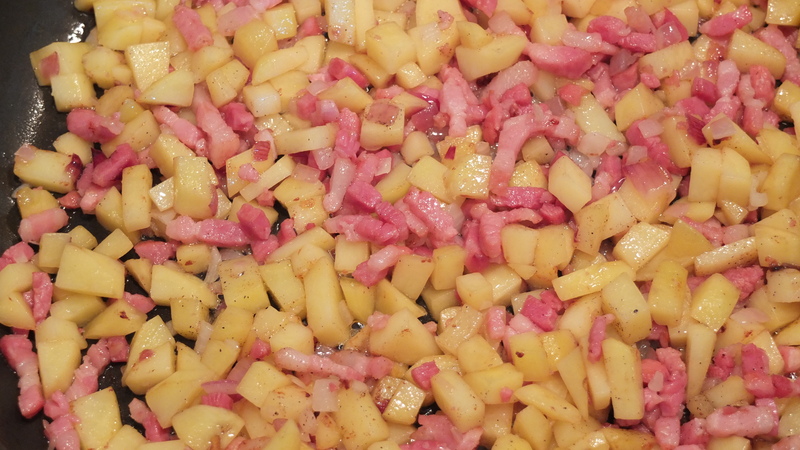 After you have all the ingredients prepared, heat up a non-sticking pan, toss the bacon in when the pan is hot. 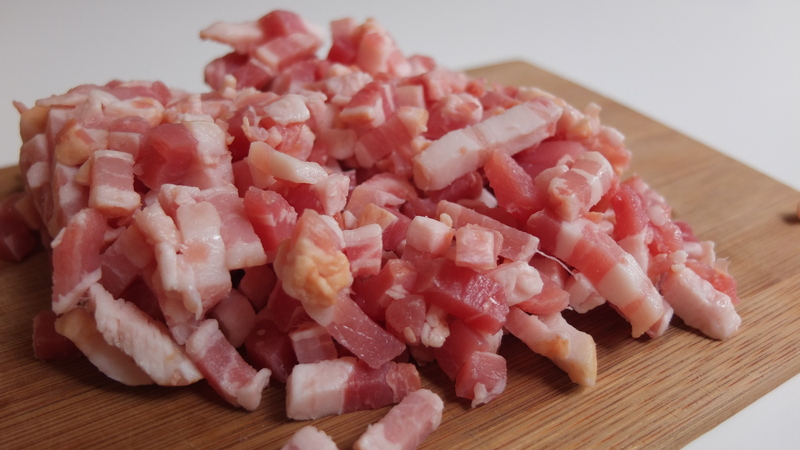 You do not need any oil, the fat from the bacon is already enough for the fried rice. 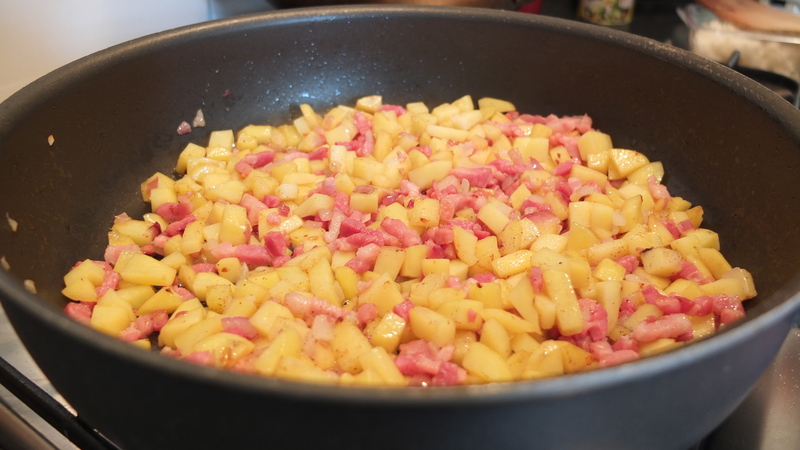 Fry the bacon for about 3 minutes, then add in onions, stir fry for 1 minute, you can now add the potatoes. 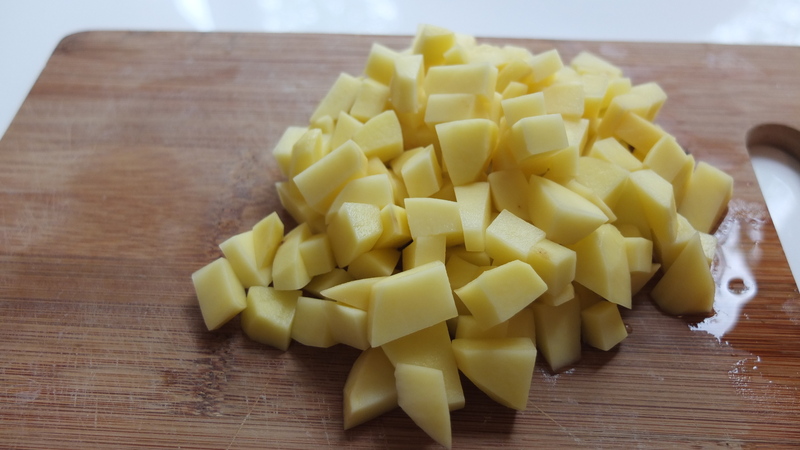 I mostly use potatoes which are not too starch, otherwise it might take way to long to cook and may lead to overcooking for the bacon and onion. Stir fry the potatoes for about 5 to 8 minutes, add some pepper and salt (not too much because bacon is already a bit salty). Then you can add the peas, evenly stir the ingredients and add 1 teaspoon of light soy sauce. In general when you make fried rice, you should NOT use just cooked rice, the temperature of the rice and structure won’t be very suitable for frying, they are too soft for frying. The most ideal type is rice from yesterday, or you can cook the rice couple of hours prior to frying, let the rice cool down a bit before using. After everything is cooked, you can add the rice to the pan, add small amount every time to stir evenly. Now you can add some chili oil if you prefer spicy, I normally use 2-3 teaspoons of chili oil. Hope you like this recipe and until next time!